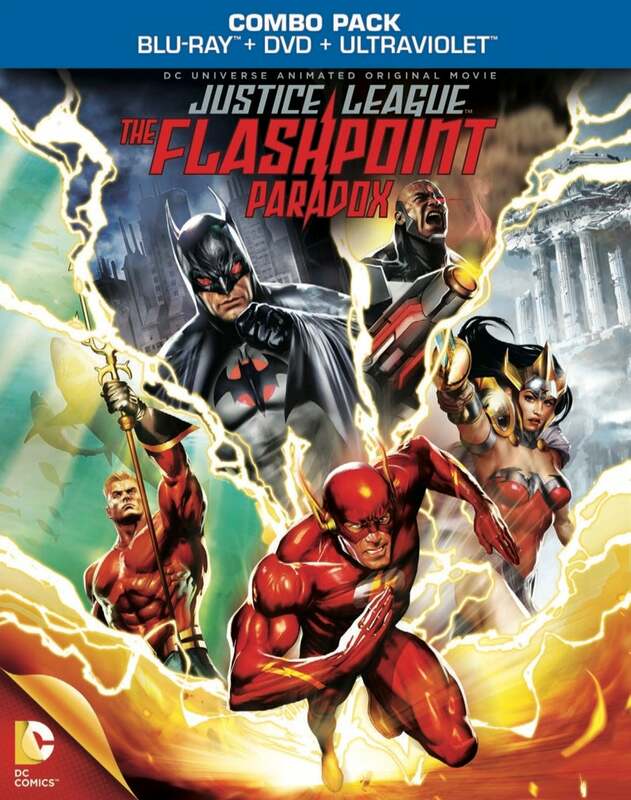 Warner Bros. have released the first trailer for Justice League: The Flashpoint Paradox, due out on Blu-Ray and DVD July 30. The film, based on the Geoff Johns/Andy Kubert miniseries Flashpoint, sees The Flash displaced through time and relocated to an alternate world where the Justice League was never founded and Superman is AWOL. The changes to time and space have left a fractured world where humanity distrusts metahumans and Atlantis is at war with the Amazons. In the comics, of course, the story led directly to the formation of a new universe, drawing elements of DC's main continuity line along with Vertigo, WildStorm and Flashpoint together. It's not yet clear whether the Flashpoint film will lead to DC Universe original animated films in which the Justice League takes on their New 52 costumes, but don't bet against it. Directed by Jay Oliva, the film brings back Ron Perlman as Deathstroke, Dana Delaney as Lois Lane and a other DC Animated Universe regulars. It also brings in some new blood, including Tim Daly's son Sam, who will play Superman (a role Tim has played on and off for years).